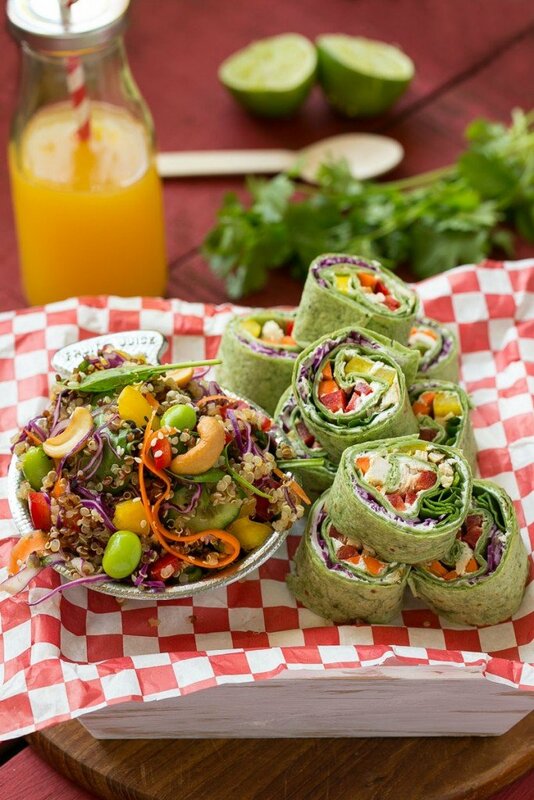 Two great back to school lunch options that use the same base ingredients – sesame lime quinoa salad and rainbow veggie pinwheels. 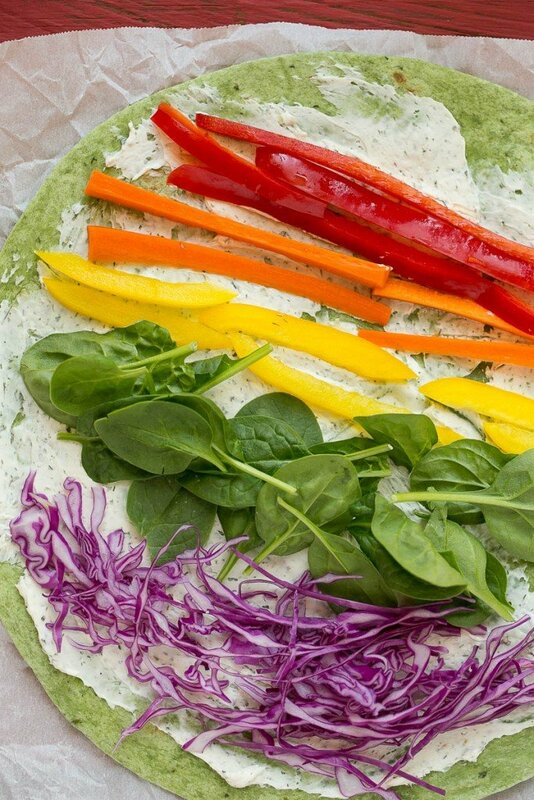 A rainbow of veggies and chicken are combined with ranch spread on a rolled tortilla to make healthy and delicious pinwheel sandwiches. Mix together the cream cheese and ranch powder until thoroughly combined. Spread the cream cheese mixture evenly over the 4 tortillas. Leaving a 1 inch border on all sides, lay out 2 tablespoons of each vegetable in rows across the tortillas; top with shredded chicken. Roll up each tortilla tightly; if the ends don’t stay shut you can add a bit more cream cheese to seal. 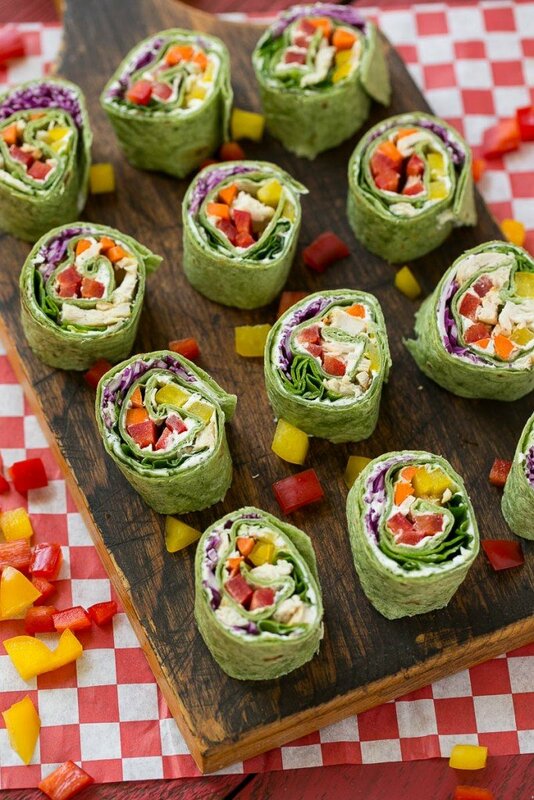 Cut crosswise into pinwheels and serve. Cook the quinoa according to package instructions. When cooked, stir in 1 teaspoon of salt and cool for 10 minutes. 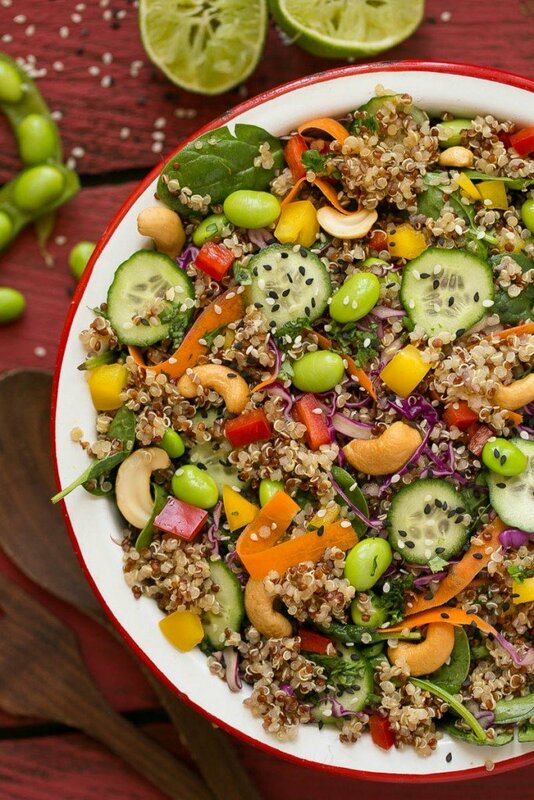 Place the quinoa in a large bowl and add all the vegetables, herbs, sesame seeds and cashews. 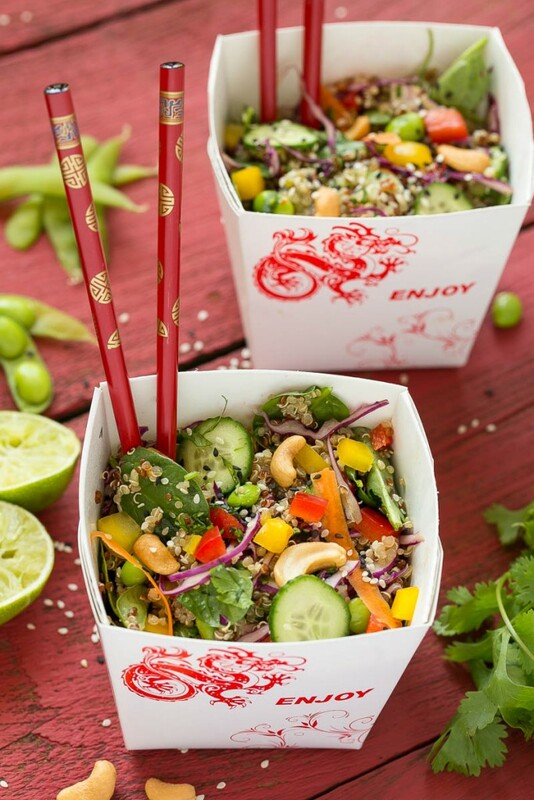 In a small bowl whisk together the dressing ingredients. Pour the dressing over the quinoa mixture and toss to coat evenly. Add salt to taste if desired and serve.